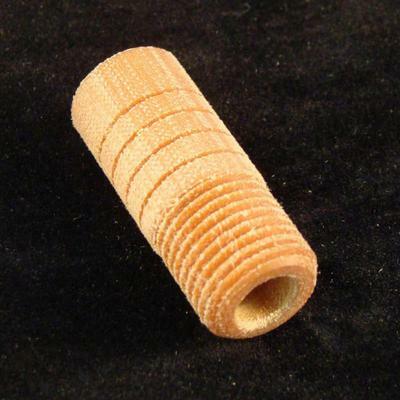 This insert is made of phenolic, with a barrel type design. Threads are 1/2-20, and the barrel is used for alignment. The .280 thru hole is designed for you to tap once installed. Counterbore hole .750 deep with Boring Bar using NON-Threaded side of insert for your gage. Apply insert with Epoxy - Let Dry - Then Drill / Bore / Tap ID threads to desired size.